Located in the heart of the Mecklenburg Lake District in Germany, FOUR PAWS has operated BEAR SANCTUARY Mueritz since 2006. The sanctuary is home to 16 brown bears that live within the sanctuary's woodlands, grasslands, forest, hillsides, and natural waterways. 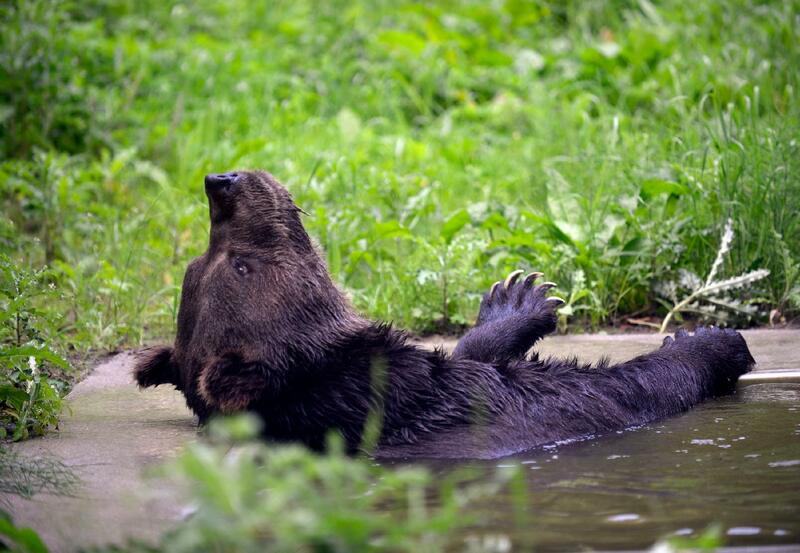 At BEAR SANCTUARY Mueritz, the species- appropriate habitats enable the formerly abused bears to rediscover and act out their natural instincts after a life in captivity. The bears enjoy digging their own dens, cooling off in their bear pools and playing with staff made enrichment activities. March to October: 9 a.m. – 6 p.m.
November to March: 10 a.m. – 4 p.m.
FOUR PAWS maintains this important principle at each animal sanctuary: limited human and animal contact. At our bear sanctuaries, each animal can move about freely in their spacious enclosures and decide if they want to be seen by visitors. The bears' daily routines are not disrupted by visitors. Like in the wild, our bears spend most of their day looking for food. Our animal caretakers and experts support the bears by hiding treats like apples, nuts and vegetables throughout their enclosures. We also make sure the bears are occupied to develop the animal's intelligence, and prevent boredom, by providing them with enrichment. Follow our social media channels to see fun videos of our animals enjoying these activities! Learn more on the sanctuary's official website.